This is one of my favorite breakfasts or snacks. It's kid-friendly and low in sugar. 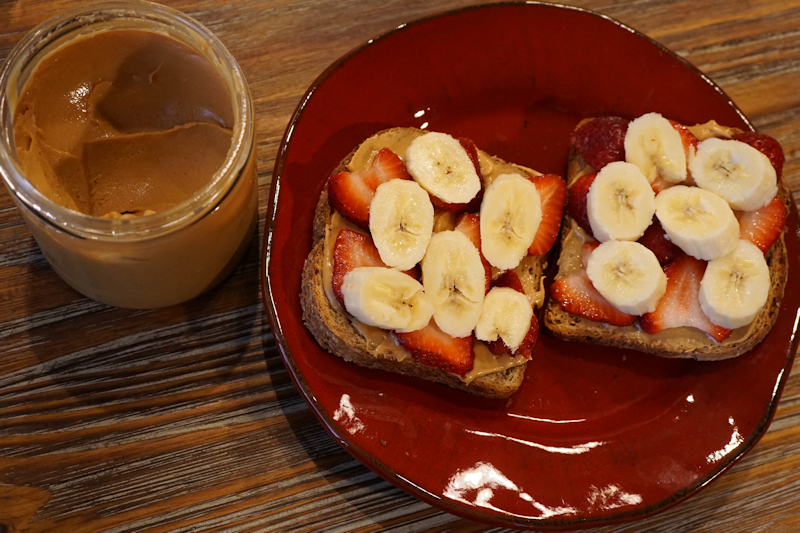 I call it Peanut Butter and "Jelly" Sandwich because the fresh organic strawberries and bananas take the place of jelly. The peanut butter is made from one ingredient...dry-roasted peanuts (no oil, sugar, or salt added!). 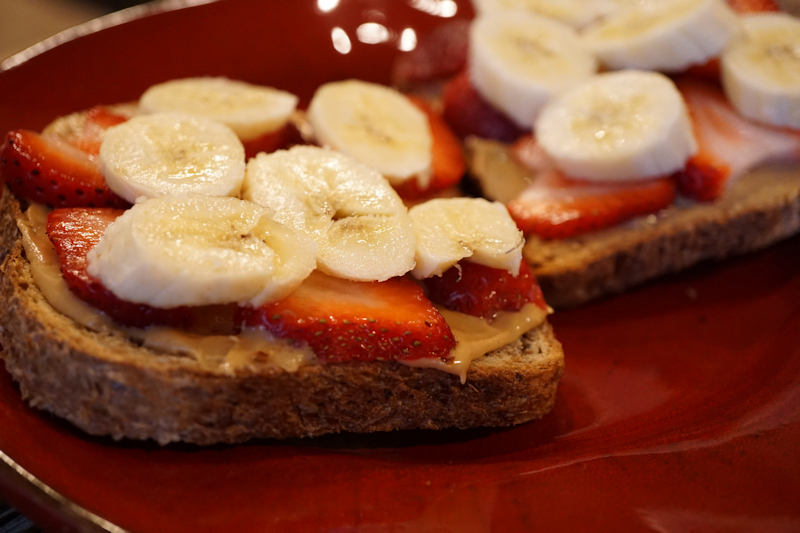 Topping some sprouted Ezekiel bread, this open-faced sandwich is filling and delightful! How do you eat this since you are diabetic?